Larry Sherlock is a tax attorney in the Tax Controversy Section of Chamberlain Hrdlicka in Houston. In more than 30 years of practice, Larry has achieved success both at the Tax Division of the Justice Department and at Chamberlain Hrdlicka. He has a record of more than 40 cases tried to completion before judges and juries. 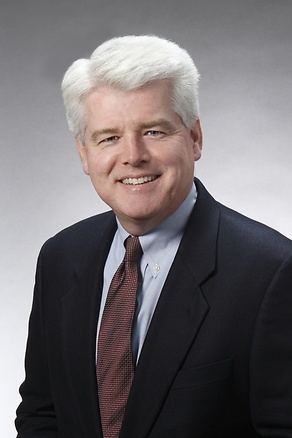 His practice focuses on negotiating and litigating federal tax disputes, including disputes arising out of income tax audits, estate and gift tax valuation questions and criminal investigations. Larry counsels a wide variety of clients, including individuals, small businesses and large Fortune 500 companies. Most recently, Larry has handled matters that resulted in favorable outcomes at IRS appeals and in court related to complex income tax questions and IRS challenges to estate tax valuations of family limited partnerships. Represented a large car dealership at trial in the Tax Court and reduced a $540,000 tax deficiency to $-0- by proving that assets sold at a loss were inventory rather than capital assets. Represented an investment partnership at trial in the Tax Court after the IRS disallowed all but $150,000 of a $2,700,000 charitable contribution; proved that the contributed property was worth more than 8 times the value placed on it by the IRS agent and more than 4 times the higher value determined by the IRS expert witness. Represented several family limited partnerships in estate and gift tax examinations at the audit, Appeals and trial levels and obtained valuation discounts for the assets of the partnerships ranging up to 60%. Represented a major financial company in the Fifth Circuit Court of Appeals after the Tax Court approved the IRS's imposition of a 20% negligence penalty on a substantial tax deficiency; the Fifth Circuit reversed the penalty in full. Persuaded IRS special agents in several cases to terminate criminal investigations after showing that no criminal intent was involved in mistakenly reported items on tax returns; and in other cases persuaded lawyers at the U.S. Department of Justice to reject prosecution of cases after the IRS made recommendations to the Justice Department to seek indictment of the client. In three cases, including one involving a debtor in bankruptcy, proved in court that net operating losses incurred by clients could be carried back to reduce tax deficiencies in the face of IRS assertions that the losses had to be carried forward. In two cases, won court-ordered awards of attorneys' fees for clients after the IRS conceded the tax deficiencies just before trial; one case involved allegations of civil fraud penalties and the other involved the disallowance of $6 million in deductions.